So wrote British schoolmaster John Thomas Looney in his introduction to “Shakespeare” Identified in Edward de Vere, the Seventeenth Earl of Oxford (1920), explaining what led him to conduct a new investigation into the authorship of Shakespeare’s works. 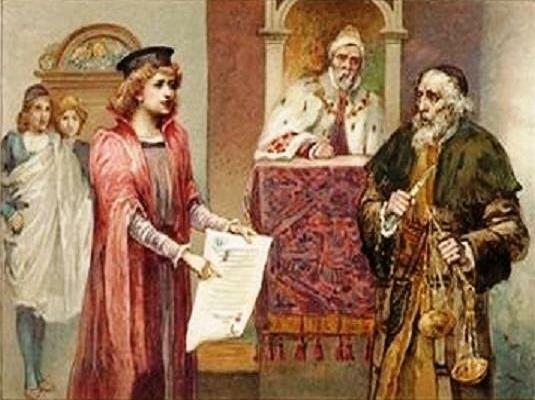 So it was The Merchant of Venice that inspired Looney’s search for “Shakespeare,” leading to the Oxfordian movement now approaching its centennial in less than seven years. 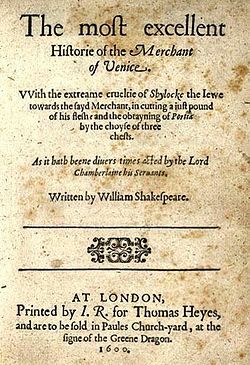 We have mentioned the similarities between Edward de Vere’s entrance “into bond” in 1578 with Michael Lok (or Lock) for 3,000 pounds and Antonio’s entrance “into bond” with Shylock for 3,000 ducats; now we begin Reason 73 why Oxford must have been “Shakespeare” by focusing on other aspects of the play itself. Dr. Johnson was speaking freely without worrying whether his perceptions fell in line within the context of the Stratford man’s life. He noticed, for example, that Portia’s unflattering descriptions of her suitors reflect characteristics of Elizabeth’s actual suitors from different countries – including those of her main suitor, the Duke of Alencon, who visited England in 1579 and 1581, when Shakspere was only fifteen and seventeen. 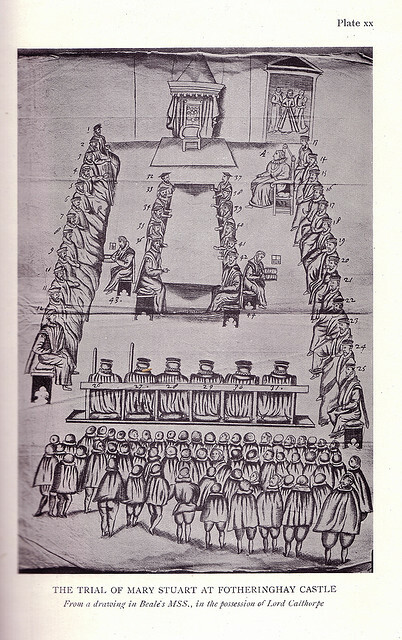 In a diatribe against the stage called School of Abuse, published in 1579, Stephen Gosson reported he had seen a now-lost play about “the bloody minds of usurers” called The Jew, performed at the Bull inn-yard in preparation for presentation at Court; and Eva Turner Clark in 1931 suggested that The Jew was performed for the royal court at Whitehall Palace on 2 February 1580 as Portio and Demorantes, which, in turn, was the original version of The Merchant of Venice. 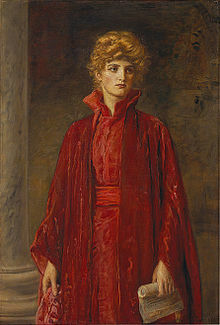 Had Elizabeth used the Scylla-Charybdis proverb during a conversation with Oxford? 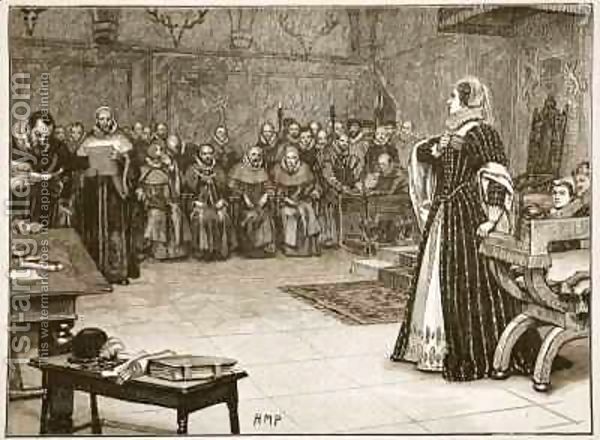 Was the proverb still fresh in her mind after attending the recent court performance of Portio and Demorantes a.k.a. The Merchant of Venice? 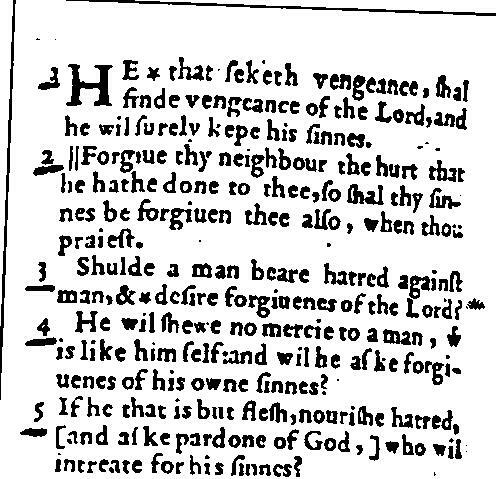 Whatever the case, it turns out that the only use of this proverb within all of “Shakespeare’s” works – in a speech by Portia, who is clearly modeled on the Queen –appears to have originated at the same time, in the same context, as Elizabeth’s own historical use of it! The motif of the three caskets comes from an old story, but in the play their contents correspond to the three crowns of England: silver for the French, gold for Irish and lead for the English kingdom – exactly as depicted at Elizabeth’s coronation. 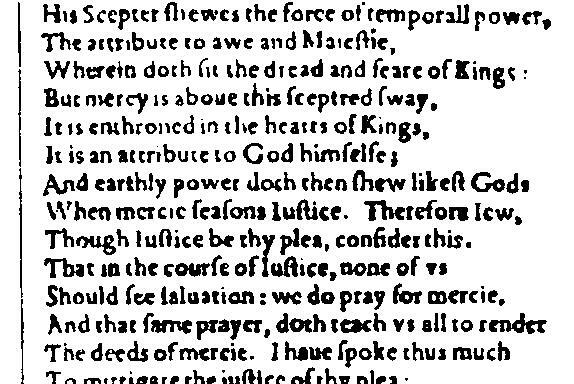 Given such topical allusions to the great issue of the French match at the English royal court circa 1579, how can it still be maintained that it was even possible for William of Stratford to have written The Merchant of Venice? In part two we’ll look at more remarkable aspects of this particular Reason to believe it was the Earl of Oxford who wrote the works attributed to Shakespeare.